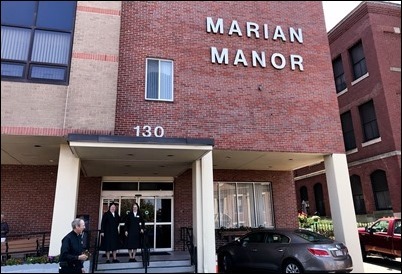 Sunday I visited Marian Manor in South Boston, where I celebrated the community Mass for the residents. We have a large group of retired priests who are residents there. 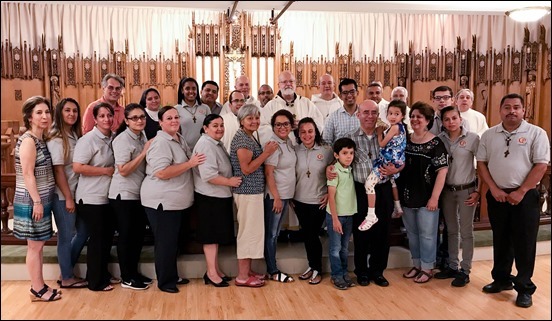 I was very happy that many of them were able to concelebrate the Mass with me, and afterward we had a nice visit. Following the Mass, I had lunch with the community of Carmelite Sisters of the Aged and Infirm. Mother Mark, their superior, was visiting from New York, so it was an opportunity to reconnect with her, as well. 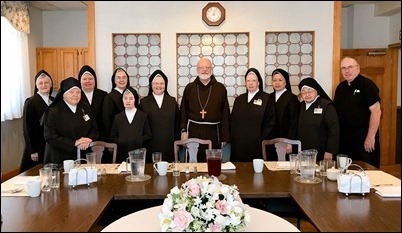 We are so grateful for the wonderful care that the Sisters give to the people and priests of our archdiocese, both at Marian Manor and at St. Patrick’s Manor in Framingham. In my former dioceses, as well, I was blessed to have their homes for the infirm. They take such good care of our elderly and sick and their ministry is a real witness of God’s loving mercy and providence. 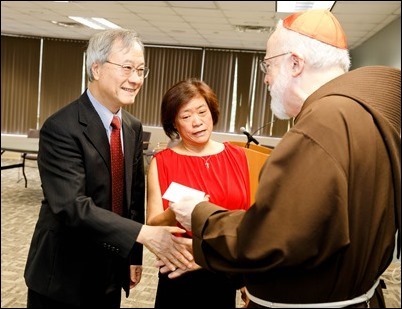 While I was at Marian Manor, I met a young Filipino woman who wanted me to bless her child. 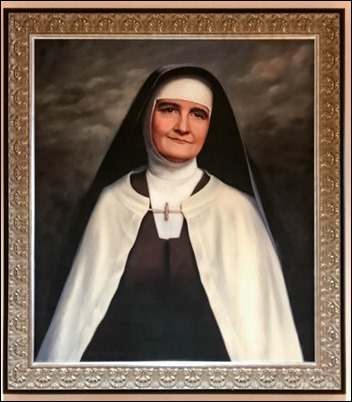 She explained that her daughter been very sick but was recovered and attributes her recovery to prayers to the foundress of the Carmelite Sisters of the Aged and Infirm, Venerable Mary Angeline Teresa. It was lovely to meet her and hear her story. Monday, I met with Vivian Soper and her staff at our Office for Pastoral Support and Outreach. With all the many different aspects of the sexual abuse crisis in the news, Vivian and her staff wanted to share with me what is happening in our outreach to survivors and talk about their ministry. Many people have contacted them during these days asking to speak to them, and they are always there to offer support. They regularly make arrangements for me to meet with victims in an ongoing way. In this last week I have spoken to a number of victims over the phone to encourage them and to assure them that we are with them and want to support them, particularly in these very difficult times. 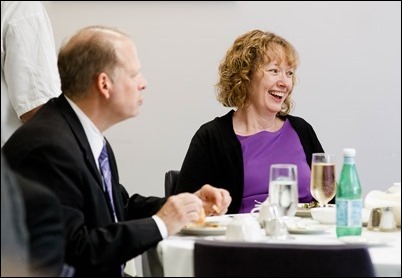 We are very grateful for all of the outstanding work the Office for Pastoral Support and Outreach does. They are the merciful face of the Church to people who have suffered so much but have had the courage to come forward. The Church’s response to victims is extremely important and the work of Vivian Soper’s office is crucial to the mission of the archdiocese. At times like this, it takes on an even greater relevance and we are very indebted to them for all they do. 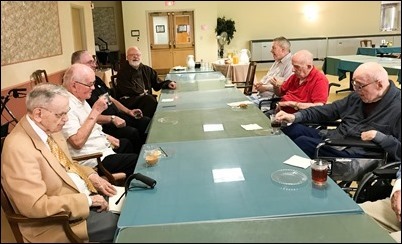 Tuesday, we held a gathering for our priests at St. Julia’s Church in Weston. Because of everything that has happened recently, I felt it was very important for us to be together and to pray together. I wanted to share with them a word of encouragement and to acknowledge the very difficult situation that they are in, but also call them to renew their commitment to support one another and to continue to bring a message of consolation and strength to our people in the midst of this crisis. At the same time, I wanted to assure them that our God is so good that he can bring good out of evil. Though we suffer because of this terrible history, hopefully, it will make us better people — more humble, more prayerful, more merciful, less judgmental and more empathetic with those who suffer. I also wanted to hear from the priests themselves. Father Tom Nestor gave a beautiful reflection on his own personal feelings at this time and what he has heard from other priests. 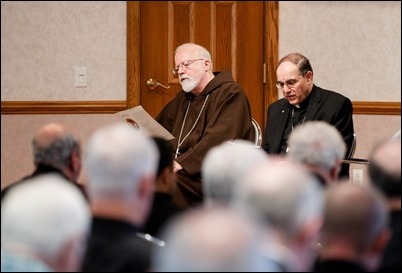 There was also an opportunity for the priests to share their thoughts and concerns with the entire group. There was a very good response, and I was very gratified by the fraternal spirit the reigned among the group. Tuesday evening at the Cathedral we had the sending Mass for the two dozen or so representatives of the Archdiocese of Boston who will be attending the V Encuentro in Texas later this month. 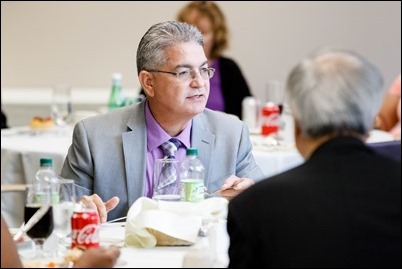 After four years of preparation, representatives from dioceses around the country will come together to look at the future of Hispanic ministry, with a particular emphasis on passing the faith on to new generations. 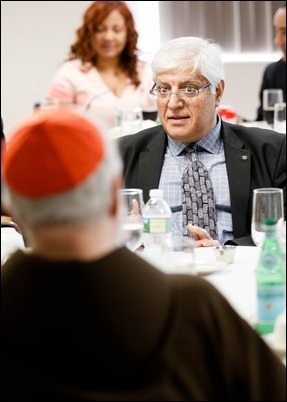 We know that the majority of Catholics under 20 years of age are now Hispanic, and it is very important that we promote leadership in the Hispanic community and equip our Hispanic Catholics so they can be missionary disciples and evangelists in our Church. Here in Boston, so many of our young families are immigrant families, and they bring a vitality, joy and deep faith. We want them to be very much at home and part of our parish life and also to feel called to share their faith and witness to their faith to others. 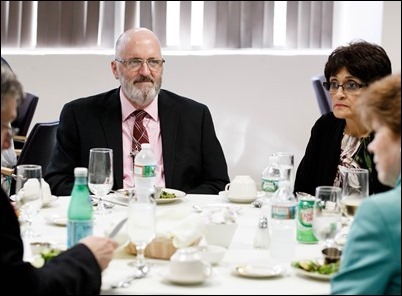 I have attended the other four previous Encuentros, and each has been a very important milestone in the pastoral life of our country, recognizing the importance of immigrants and preparing our Church to respond to their presence and involve them more deeply in the life of our local churches. Wednesday, I spent an evening with the Jesuit seminarians whom I will be ordaining transitional deacons later this month. 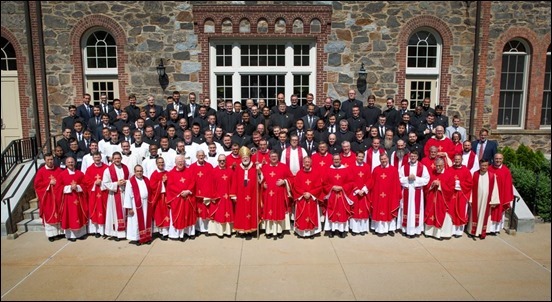 Though they often celebrate their diaconal ordinations here in Boston, the seminarians are from different provinces around the country, not just New England, so there are about a dozen. We are very blessed to have these young Jesuits in our archdiocese and helping out in our parishes. Very often, they are from the same parts of the world as our immigrant populations, so they have had a very special impact. We had Evening Prayer together and a time of dialogue followed by dinner. It was a wonderful opportunity to get to know them. It is always a sign of hope to see these young men embracing their vocation and preparing for their lives as Jesuit priests. 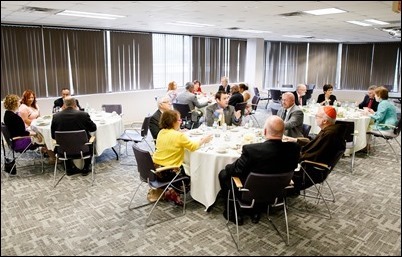 Thursday, we held a luncheon for our ordination class of permanent deacons and their wives here at the Pastoral Center. It was a chance to spend some time with them and also inform them of their future assignments. We are very grateful for these men who have answered the call to orders and are available to serve God’s people, both in the parishes and that the archdiocesan level. 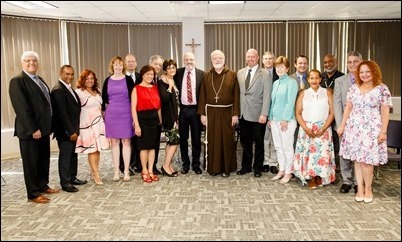 I wanted to express my gratitude, also, to their wives and families who have made so many sacrifices to allow them to be part of the diaconate program and now to embrace their ministry, in addition to all the responsibilities they have in their family and professional lives. 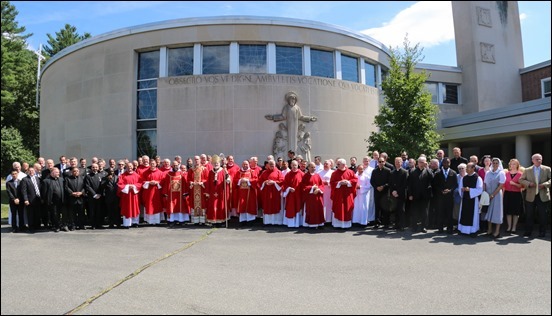 Finally, throughout this week I have been celebrating the Mass of the Holy Spirit at our three seminaries in the Archdiocese of Boston to begin the academic year. 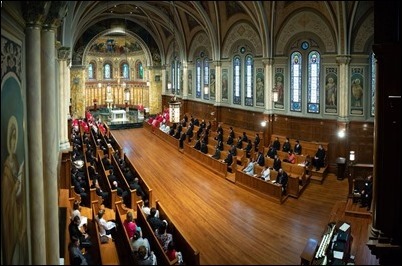 Each year we have the Mass of the Holy Spirit on consecutive days at St. John’s Seminary in Brighton, Redemptoris Mater Seminary in Brookline, and Pope St. John XXIII Seminary in Weston. In my homily, I wanted to encourage the seminarians to face the fact that we are in difficult times, but also remain focused on their vocation and the ministry Christ is calling them to. At the same time, I wanted to speak to them about the importance of seminary formation, trying to visualize the seminary as the Cenacle and stress the importance of human formation which Pope John Paul II called for in his Apostolic Exhortation Pastores dabo vobis. 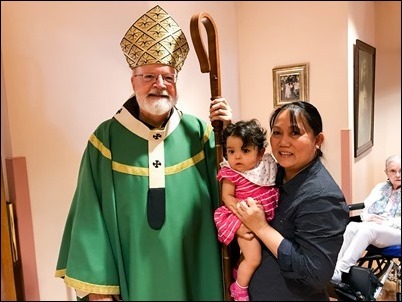 Being a priest is the most marvelous vocation in the world, the joy of bringing the Eucharist to God’s people, to accompany people in the most significant moments in their life, to tell people: “Go in peace, your sins are forgiven”, to baptize a child into God’s family. There are always challenges and difficulties but the priestly vocation is such a joy and privilege. Do not let the crisis of the moment eclipse the splendor of Christ’s priesthood. There is nothing more worth suffering for. I am delighted that you are here; like thousands of Catholics I pray for you each day. The presence of the Good Shepherd in your future ministry is what we see and cherish in your vocation. Welcome to our newcomers, may you find a home here and brothers who will share your burdens and multiply your joys. All the swirl of crisis and controversy will pass. Don’t let it distract you. Christ and his priesthood is forever. Speaking from 48 years of experience, there is no more beautiful life than that of a Catholic priest, but it is a costly grace. Each year we open our academic year with this votive Mass of the Holy Spirit. St. Francis wanted the Friars to celebrate the General Chapter of the Order at Pentecost because he wanted the Holy Spirit to be the Father General of the Order. We begin the Seminary year with the Mass of the Holy Spirit so that the Holy Spirit will be the Father Rector of the Seminary. We want to be part of a community enlivened and guided by the Holy Spirit. An atmosphere of faith nurtured by prayer prepares the path for the Spirit. The Gospel of Luke begins with Mary who embodies the faith and prayer of the Church being overshadowed by the Holy Spirit and allowing the Christ to become incarnate. Luke’s Gospel is continued in the magnificent book called The Acts of the Apostles, at times called the Gospel of the Holy Spirit. Jesus’ Spirit-filled existence is reflected in Acts where the events and deeds of Jesus’ life are replicated in the Church which is His Body. The second lesson today from Acts parallels the overshadowing of Mary at the Annunciation, where the disciples are gathered in prayer in the upper room with Mary and Peter. The Holy Spirit overshadows them and the Body of Christ, the Church is born. The Cenacle can suggest an image of what the seminary might strive to be. 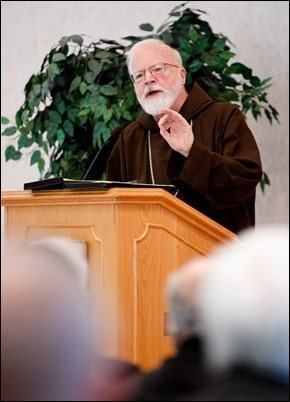 We need for the seminary to be a real community of faith and prayer. St. Luke describes the first community in Jerusalem as being assiduously united in the teachings of the Apostles, in fellowship, in the breaking of the Bread and in prayer. It was for me a great privilege to celebrate the Eucharist in the Cenacle with about 40 Boston priests. It is the place where the Church was born. Actually, there are three occasions where the Cenacle figures in the New Testament. It is the place of the Last Supper where Jesus washes the feet of the Apostles, gives the New Commandment to love one another as He loves us. It is in the Cenacle that Jesus gives His disciples their last lessons before ordaining them and giving them the Eucharist. After the Resurrection Jesus returns to the Cenacle to bestow on the Apostles the first gift of Easter, the gift of the Spirit. The Apostles were hiding out, but Jesus did not come to recriminate them but to give them the gift of peace and the gift of the Spirit: “Receive the Holy Spirit, whose sins you shall forgive, they are forgiven them.” Here too Jesus says: “As the Father sent me, so I send you”. The gift of the Spirit allows us to be healers, to bind up wounds and forgive sins. Likewise, the gift of the Spirit prepares us for our mission, to be sent by Jesus just as He was sent by the Father. 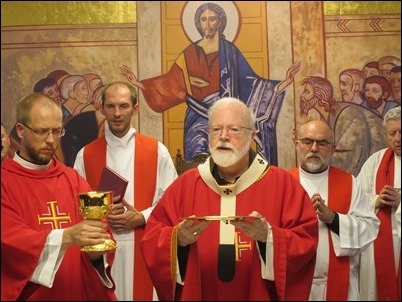 The seminary, like the Cenacle, is where we must develop a deep love for the Eucharist, and understand our task of washing the feet of our brothers and sisters. It is very clear that the Apostles realized that it was not their choice, but a process of prayerful discernment to discover whom the Lord has chosen. In that sense, the seminary is truly a cenacle. Their time in the Cenacle was a prayerful preparation for the moment when the Holy Spirit sends the disciples forth on fire with the message of the Gospel. A crucial part of your Cenacle experience is your human formation. The recent scandals in our Church point to a deficit in human formation which has manifested itself in the immoral behavior, abuse of authority and an unhealthy clericalism which is a sick parody of the true priestly fraternity. Historically in the formation of priests, spiritual and intellectual formation was given all the attention. Seminarians were often very monastic and placed in rural areas or at least removed from the hustle and bustle of the city. There was often a strong ‘fuga mundi’ spirituality. 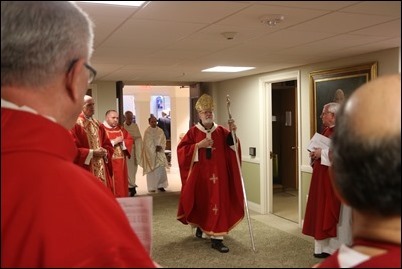 The post Conciliar seminary has moved away from that and added a strong Pastoral Formation that did much to prepare future priests for the experience of ministry in parishes, hospitals, prisons and schools. 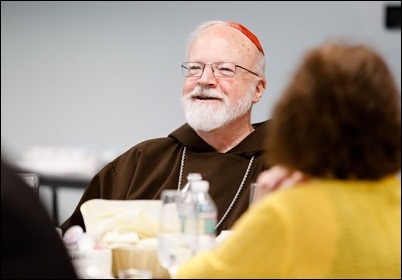 This is called for not only by the dignity of the priestly vocation, but also by the demands of priestly ministry itself which requires a humanity that will be a bridge, not an obstacle, between people and Christ. 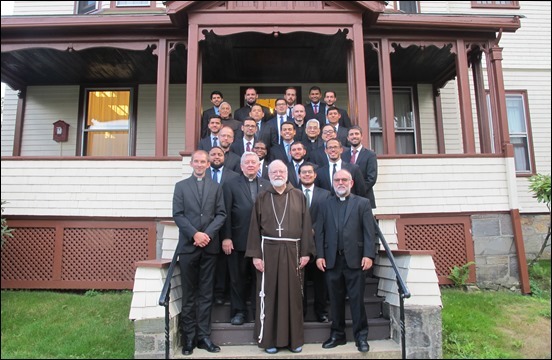 The seminarian in the Cenacle community of the seminary, needs to cultivate those human qualities and virtues which are needed to be a balanced person, strong and free, capable of bearing the weight of pastoral responsibilities. The level of human maturity, behavior, attitude, outlook on life are all part of what it takes to communicate the Gospel. The seminarian’s way of presenting himself and his views, his capacity for dialogue, his sincerity and honesty, his prudence and discretion, his willingness to sacrifice for the common good. A priest must be a man who can both trust and inspire trust. 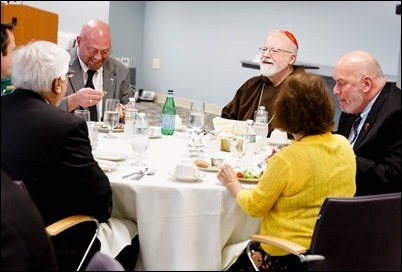 As priests we must be able to work with people of diverse cultural backgrounds. We need the emotional maturity and the capacity for healthy friendship, discipline and self-mastery to observe appropriate boundaries, have that generosity that makes us capable of embracing a life of celibacy. Human formation also should instill in us a sense of fiscal responsibility and stewardship as well as a commitment to a simple lifestyle. Human formation is also about developing the capacity to receive and integrate constructive criticism. Human formation for a priest is a commitment to self-knowledge that is enhanced by mental prayer and spiritual direction and daily examen. 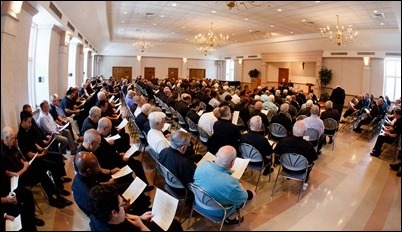 In the life of a seminarian, human formation is part of our ongoing conversion and growth in the life of the Spirit. 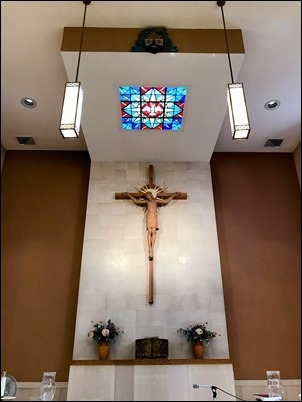 The seminary is an important place that can be a Spirit-filled Cenacle experience for those who embrace the opportunity to truly prepare yourself to be a shepherd after Christ’s own heart and to be real brothers forged in community of faith and prayer so that you can be sent to set the world on fire with the Spirit, having learned well the lessons of the Cenacle: prayer, community, washing each other’s feet, forgiveness, Eucharist, fraternity, closeness to Jesus and Mary and the other disciples, a mission embraced with joy and courage.